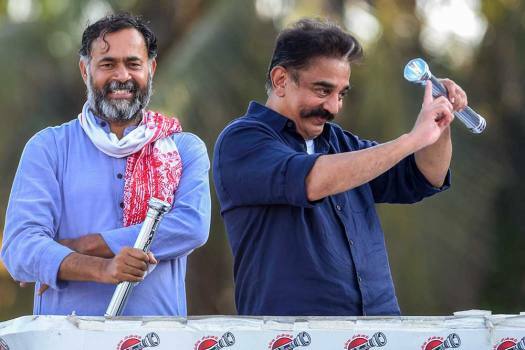 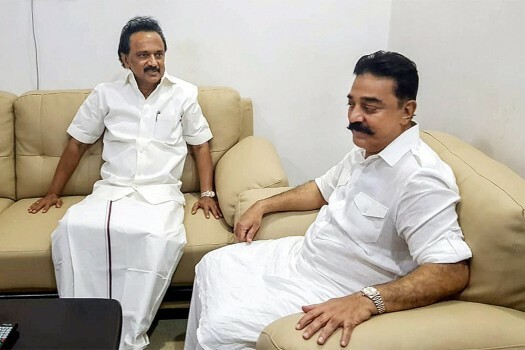 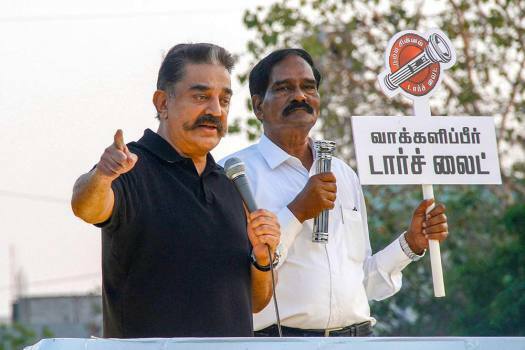 Makkal Needhi Maiam (MNM) President Kamal Haasan campaigns for his party candidate A.G. Mourya from North Chennai constituency ahead of Lok Sabha elections, in Chennai. 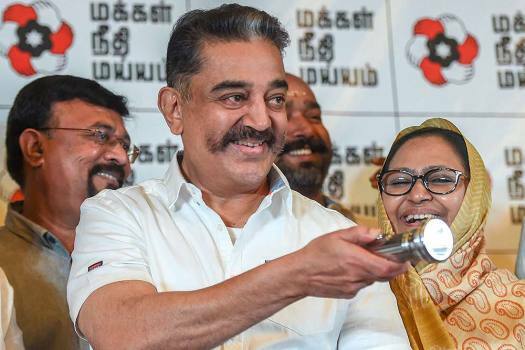 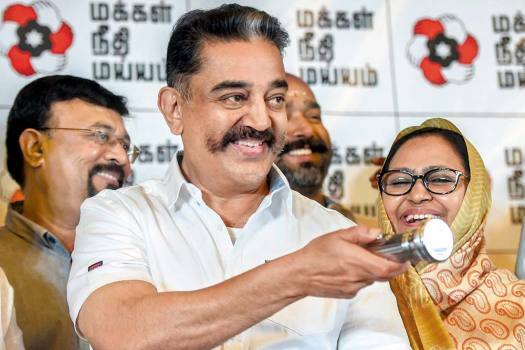 Makkal Needhi Maiam (MNM) President Kamal Haasan poses with a torch, his party symbol, after releasing a list of candidates for the upcoming Lok Sabha elections, in Chennai. 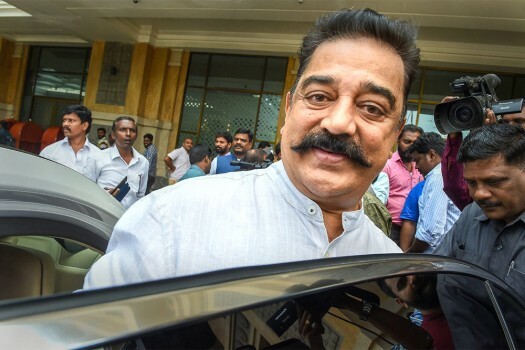 Makkal Needhi Maiam (MNM) President Kamal Haasan leaves after a meeting with Odisha Chief Minister Naveen Patnaik (unseen) during the 'Odisha Investors' meet, in Chennai. 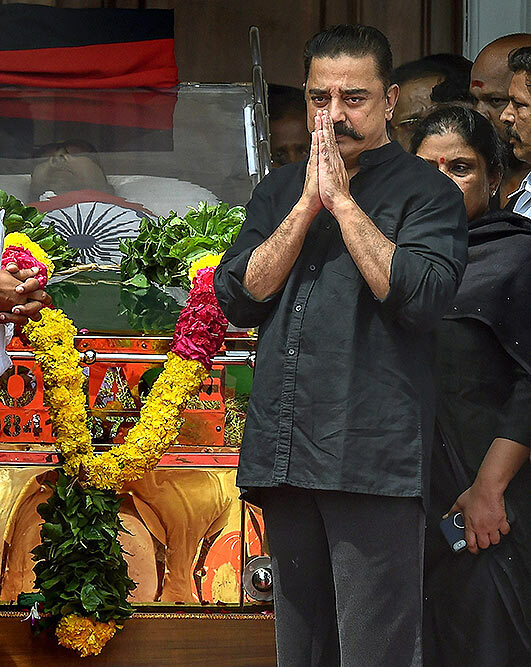 Makkal Needhi Maiam President and actor Kamal Haasan pays his last respects to DMK chief M Karunanidhi at Rajaji Hall, in Chennai. 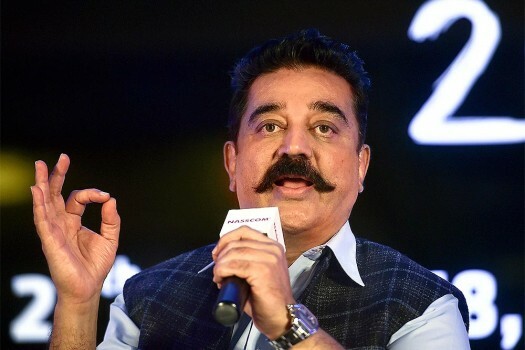 Makkal Needhi Maiam (MGM) President Kamal Haasan addresses at the 'NASSCOM HR Summit 2018', in Chennai. 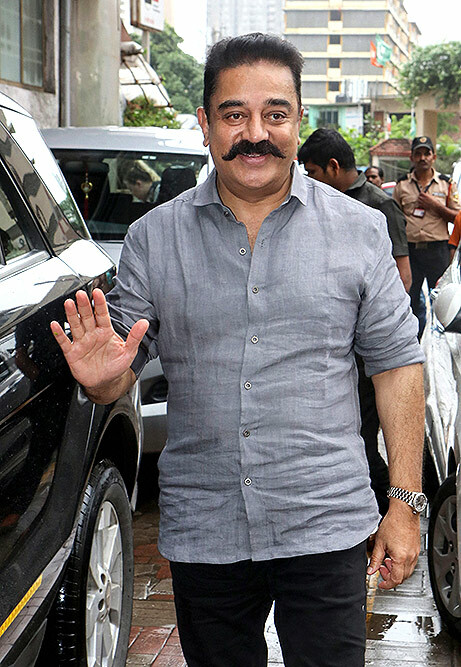 Makkal Needhi Maiam (MGM) President and actor Kamal Haasan waves at his fans, in Mumbai. 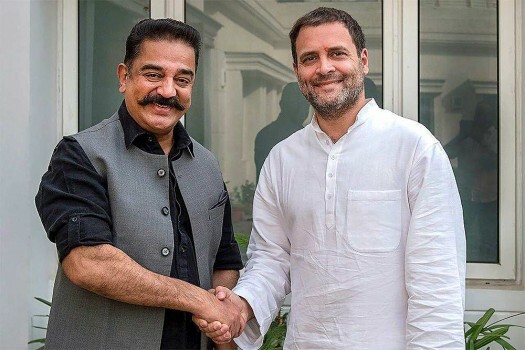 Congress President Rahul Gandhi and actor-turned politician Kamal Haasan shake hands during a meeting in New Delhi. 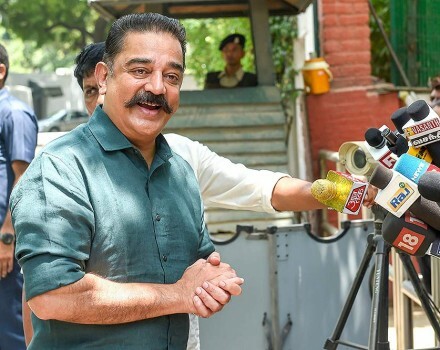 Makkal Needhi Maiam President Kamal Haasan addresses the media after meeting UPA Chairperson Sonia Gandhi, in New Delhi. 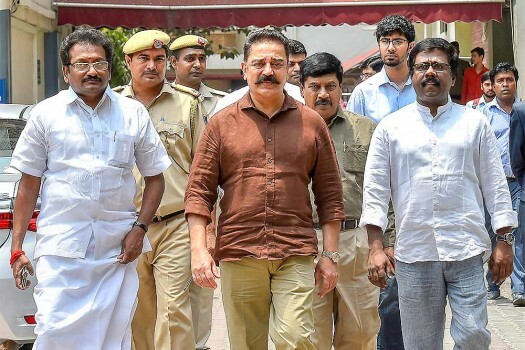 Makkal Needhi Maiam President Kamal Haasan with senior party members come out after a meeting with Election Commissioner at Nirvachan Sadan, in New Delhi. 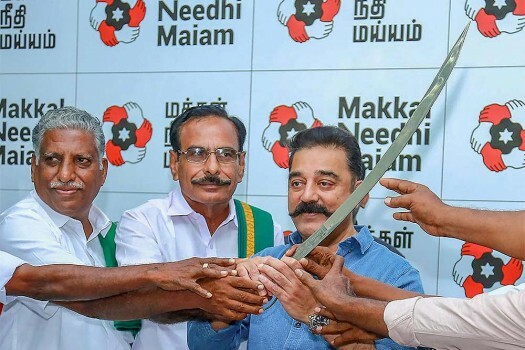 Actor-turned-politician Makkal Needhi Maiyam (MNM) President Kamal Hassan during a press conference after meeting leaders of some farmers’ associations, in Chennai. 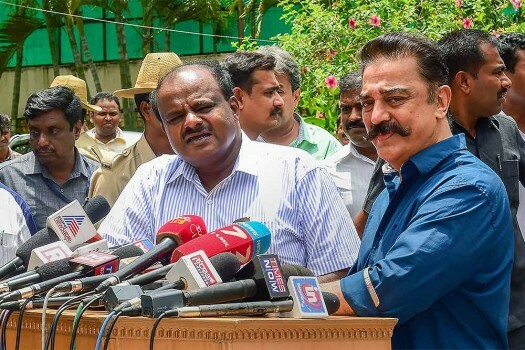 Karnataka Chief Minister HD Kumaraswamy and MNM chief Kamal Hassan address the media after a meeting, in Bengaluru. 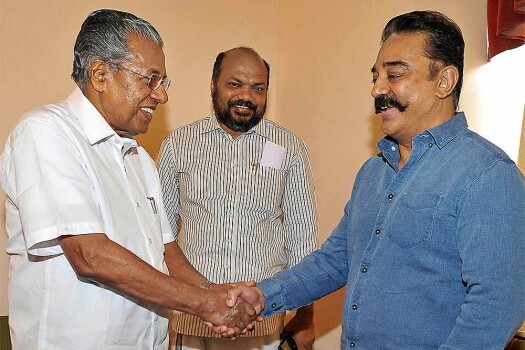 Actor-turned-politician Kamal Haasan (R) meets Kerala Chief Minister Pinarayi Vijayan (L) in Kochi. 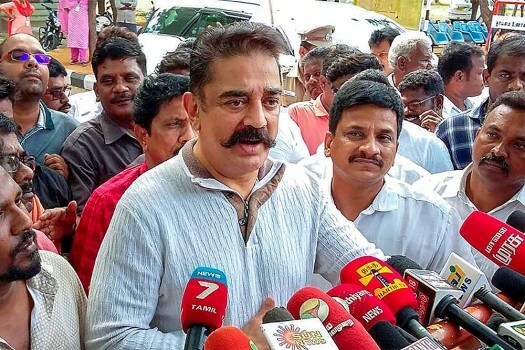 Makkal Needhi Maiam (MNM) President and actor Kamal Haasan addresses the media, in Tuticorin. 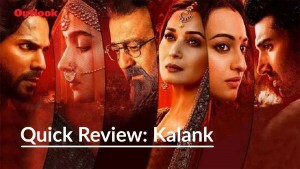 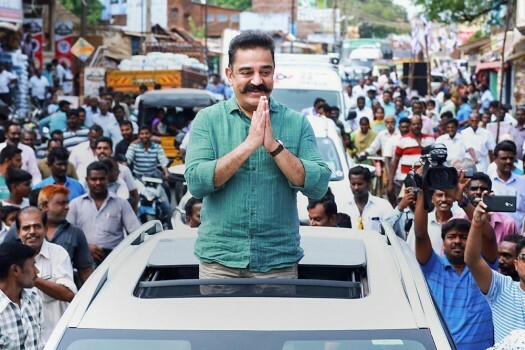 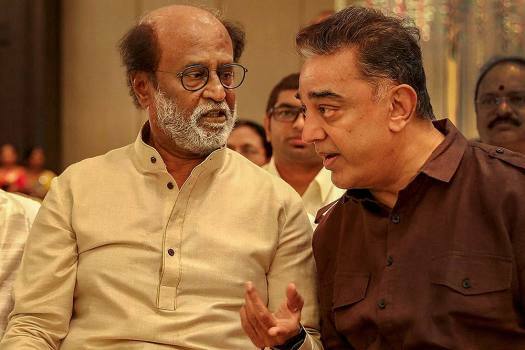 Kamal Haasan assured the public that all the winners in the Lok Sabha elections would deliver and fulfil the promises they had made during the regime, adding that they would be removed if proved otherwise. 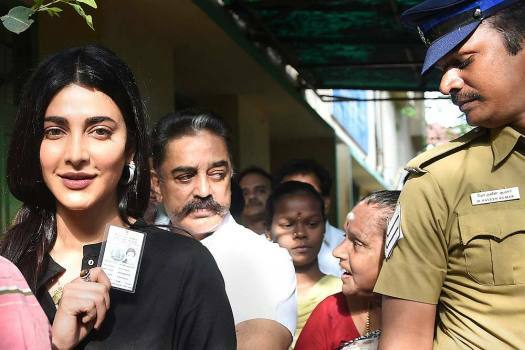 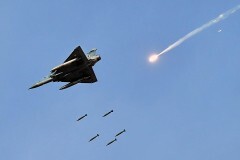 Speaking at a press meet, Hassan said, his party has authorised him to take a decision on forging an alliance with like-minded parties for next year's Lok Sabha polls.